When making sash windows, no matter which bar jointing method is used, tradition has always been to reinforce the joints with dowels. 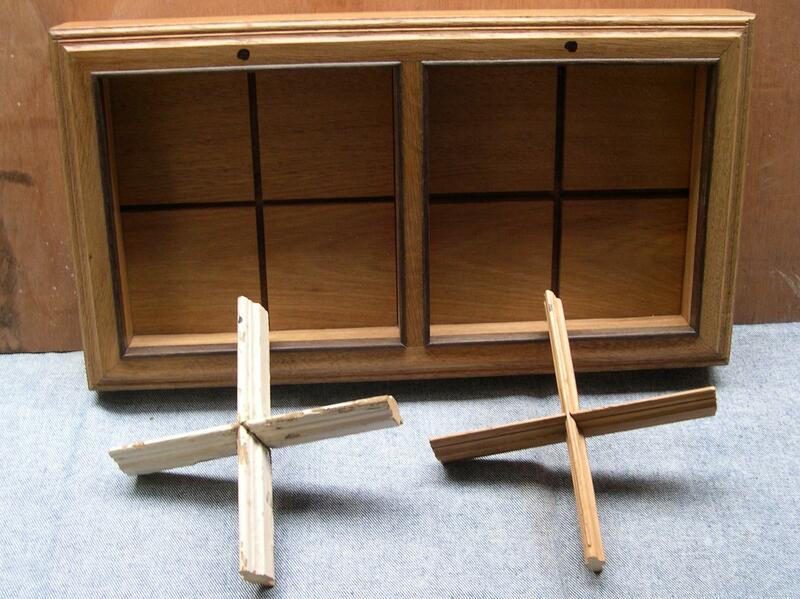 The sash dowelling box or jig is used to aid the boring of accurate holes in the end of the bars to locate the dowels. 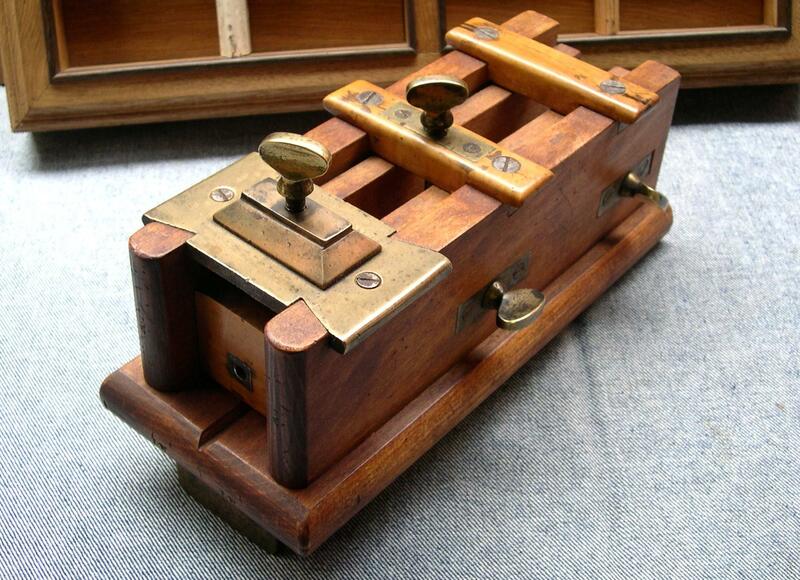 The majority of these boxes are, like this one, are craftsmen made and typically fine examples of their skill and flair. 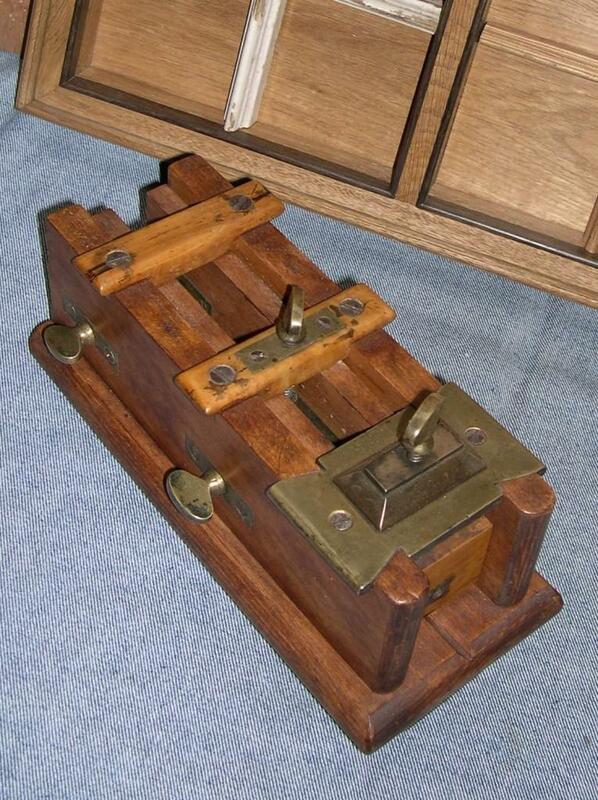 This box is made of beech with boxwood bridges and brass or bronze fittings. 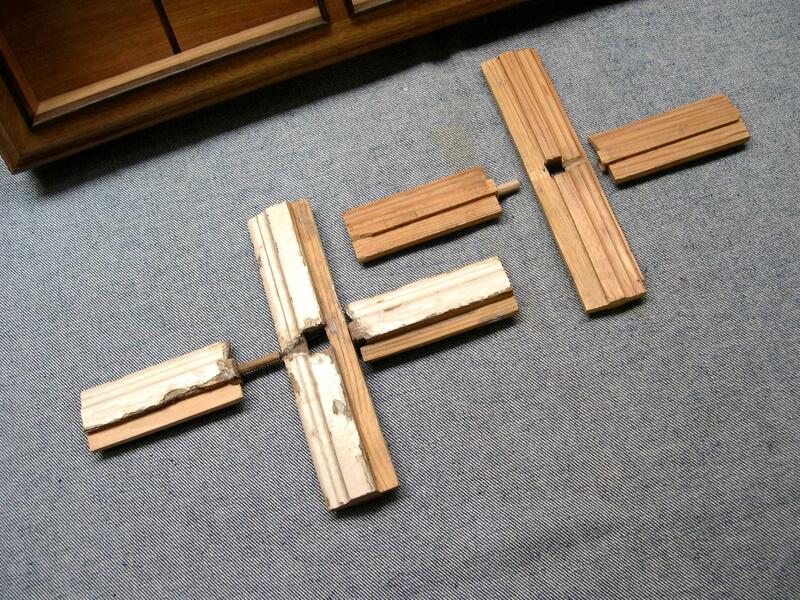 Sash bars are secured by means of the four side and single top thumb screw adjusters. The locator hole for the dowel bit can also be adjusted vertically to allow for different bar depth. 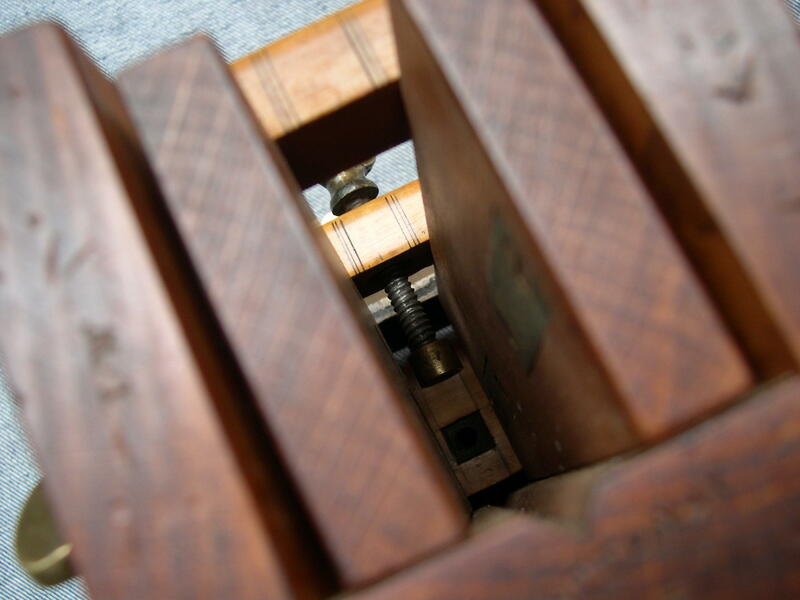 The box bridges show a number of scribe marks and two pairs of heavy duty spikes are incorporated into the base to ensure firm and secure fitting to the edge of the bench. 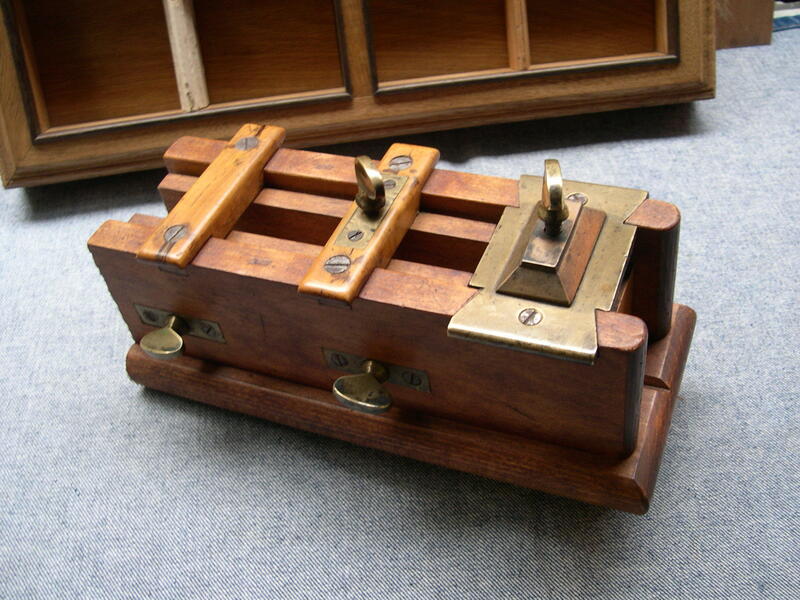 The collection to which this sash dowelling box belongs also includes a display of both old and new sash bar joints to illustrate the dowel reinforcing method.